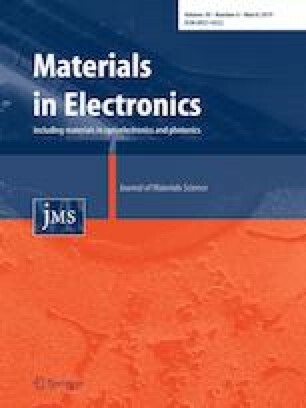 In this study, MoCu20/Cu joints via eutectic bonding recipe with AuSn20 solder were obtained to investigate the effect of γ-ray irradiation on the microstructure and mechanical properties of the solder joints. Firstly, the experimental results showed that the number and size of voids in joints were gradually increased during irradiating process due to the migration and agglomeration of irradiation-induced vacancies. Secondly, the (Au,Ni)Sn and (Ni,Au)3Sn2 IMC layers and Au-rich joints were formed by the activation of interfacial reaction between Au–Sn solder and plating metal. Thirdly, the failure mode was altered from ductile fracture to brittle fracture, and the shear strength of joint was decreased by 37.23% after 1000 h γ-ray irradiation in the results of mechanical test. In summary, the γ-ray irradiation has a highly detrimental influence on the AuSn20 solder joint. This project was supported by National Natural Science Foundation of China (Grant No. 51675269). This work was also supported by the State Key Laboratory of Advanced Brazing Filler Metals & Technology (Zhengzhou Research Institute of Mechanical Engineering CO., LTD.), China (Grant No. SKLABFMT201704). Additionally,this work was supported by the Fundamental Research Funds for the Central Universities and the Priority Academic Program Development of Jiangsu Higher Education Institutions (PAPD).